Every petrol or diesel car has a camshaft position sensor. It plays a vital role in keeping your car or truck engine running smoothly by relaying information back to the ECU. The symptoms of a bad camshaft position sensor can be similar to other common engine problems. So it's important to learn how a camshaft position sensor works, and how to properly diagnose a suspected bad or failing one when necessary. How Does A Camshaft Position Sensor Work? The Camshaft Position Sensor (also known as the CMP sensor) is one of the key sensors when it comes to the smooth running of your engine. 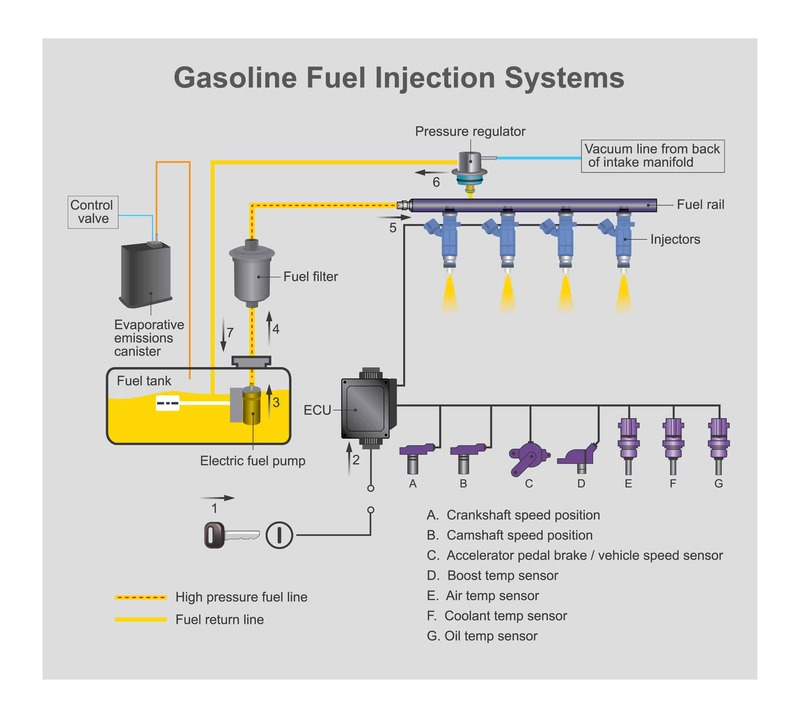 The information it generates plays a crucial role in determining when each injector should be activated on a modern sequential fuel injection systems (SFI). The camshaft position sensor is responsible for sending the ECU a signal each time the cylinder #1 intake valve is opening. That information is then used in conjunction with the Crankshaft Position Sensor (CKP) signal for knowing when the rest of the cylinders’ intake valves are opening. Camshaft Position Sensors use the same electronic principles of other engine sensors such as Crankshaft Position Sensors. In other words, they are so similar in construction they are often difficult to differentiate from one another when outside the vehicle. There are two common types of sensors. The design can be based on “optical”, “inductive”, or “Hall Effect” principles. For the purpose of this article, we will explain the Hall Effect design. Hall Effect sensors consist of two key elements, the reluctor ring (toothed wheel) and the sensor itself which internally has a permanent magnet. The reluctor is attached to the camshaft in a way that cylinder #1 intake valve opening coincides with the “tooth”. Many designs include all cylinders (not only cylinder #1) but using a wider tooth for differentiating #1 which will always be the “reference”. The ECU uses this information for the fuel injectors “firing” sequence, thus the importance of an accurate reading. As said earlier, independently of the Camshaft Position Sensor design (single tooth or multi-tooth) the Camshaft Position Sensor and Crankshaft Position Sensor signals are always compared and used together not only for fuel delivery but also for ignition timing and spark plug firing. Due to its crucial role in the fuel delivery expect the CEL lit after a few driving cycles with a damaged CMP sensor. Without proper information coming from the CMP the ECU won’t operate efficiently and thus, a noticeable decrease in fuel economy will be evident. A bad Camshaft Position Sensor will make hard for the ECU determining the fuel injector firing sequence thus expect a huge drop in performance. Depending on the emergency mode programmed on the ECU, you may experience intermittent engine stall. A bad Camshaft Position Sensor will increase all emissions which could be a problem if you live in an area with smog checks. 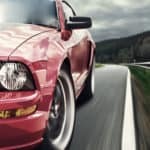 A professional grade automotive scanner with live data graphing capabilities is not essential for testing the CMP sensor but certainly would speed up the process no matter what type of sensor is installed. IMPORTANT: The following tests assume the CMP sensor harness is already unplugged, refer to “how to replace” section if you have any doubt. > Sensor wiring: perform a meticulous visual inspection of CMP sensor wiring. Look for burnt, damaged, corroded or deteriorated wires. Pay special attention to possible shorts to ground or open circuits produced by faulty insulation. > Sensor condition: since the CMP has a permanent magnet it can be clogged by metal particles that affect its readings. Clean the sensor using a soft soap and water. Reinstall and repeat the preliminary steps. > Sensor harness connector: similar than before, perform an exhaustive visual inspection of CMP sensor connector. Ensure the ignition key is switched off and unplug the CMP sensor harness connector. Look for bent terminal pins, loosely connections, corrosion or any other possible indication of a bad connection. Recommended tools: digital multimeter (DMM), oscilloscope. > Supply voltage: Hall Effect sensors use a three-wire design. Turn the ignition switch on (engine off) and look for the corresponding supply voltage (12V). Refer to the appropriate literature to identify the supply line. 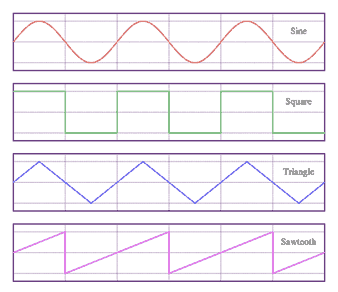 > Sensor Signal: for this test, you will need using an oscilloscope. Place one tip on a known ground and the other test tip to the sensor signal wire (sensor should be connected, use a special intrusive clip for this purpose). Start the engine and adjust the oscilloscope signal until you have a clear reading on the display. You should see a square waveform similar to the shown in the introduction of the article, however, it’s advisable using the appropriate literature for comparison and diagnostics. > Ground test: enter in KOEO mode (Key On Engine Off) turn the digital multimeter dial to “voltage” test mode and place one probe tip on the CMP harness terminal corresponding to the supply voltage and the other on the terminal that should be the ground. 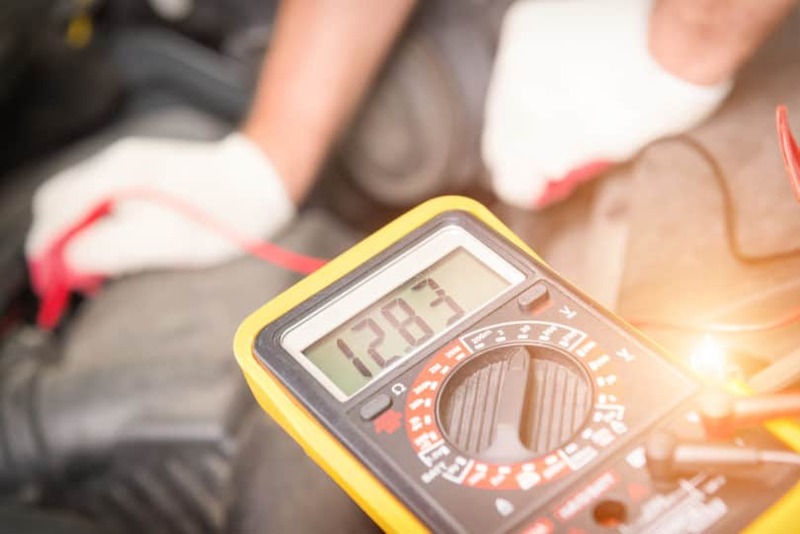 Ideally, the voltage would be the same value as the previous test, if the difference is greater than 10% then you will need to check electrical resistance and continuity of the ground line from the CMP harness all the way down to the ECU. > Camshaft Position Sensor live test: using a scan tool for diagnosing a CMP sensor is highly dependant on your car manufacturer. This is due to the way scan tools read the information. Some manufacturers facilitate live data stream that “emulates” the oscilloscope wave pattern for the diagnostic but others don’t. Ideally, you should perform oscilloscope tests as the one explained in the prior section for a more precise diagnostic. The CMP sensor is usually located on the valve cover corresponding to engine bank #1 (the bank of cylinders where cylinder #1 is located). > Remove CMP sensor connector: this step may be tricky in some models. Generally speaking, the connector has a plastic tab that you should push down while you pull out the harness. But in many cases, there is a small security clip (sometimes plastic, sometimes metallic) that must be removed first using an adequate screwdriver. > Remove CMP sensor: removing the CMP sensor is done by removing the clamping screw that holds it to the valve cover. > Install the new CMP sensor: retire the old sensor and then install the new one. Double check that you’re using the adequate part number.